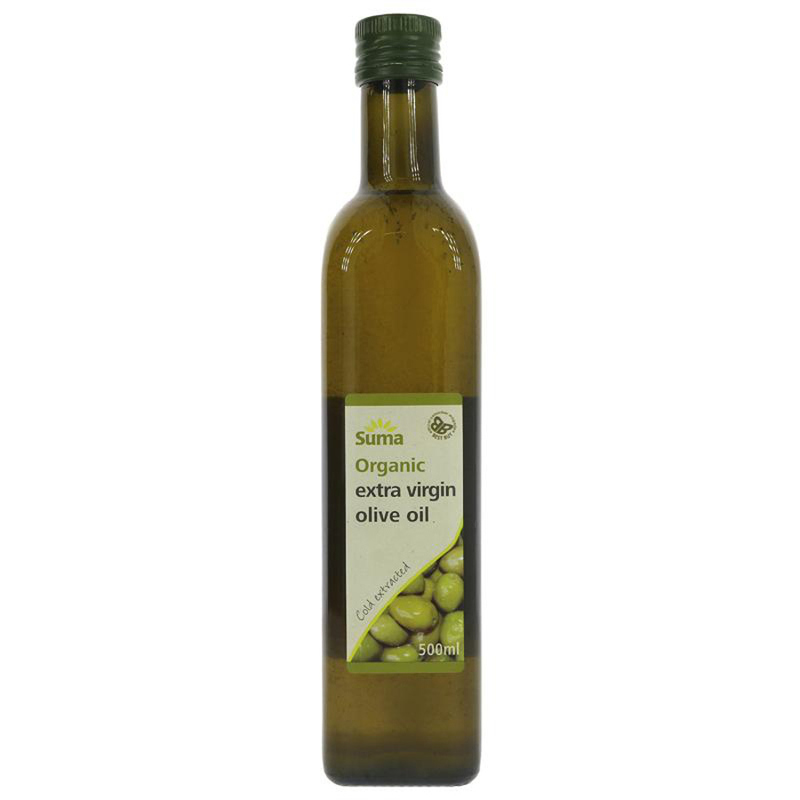 500ml organic, vegan friendly Suma Extra Virgin Olive Oil. The Suma Organic Extra Virgin Olive Oil - 500ml product ethics are indicated below. To learn more about these product ethics and to see related products, follow the links below. Lovely oil. I get through plenty of this. Tastes really nice; I'm very pleased to have an olive oil that tastes good and is ethical! Q: What country/countries are the olives sourced from? A: Hi there, The country of origin is France. I hope this helps. Q: Is it cold pressed?